MPEmbed is an overlay for Matterport Showcase. 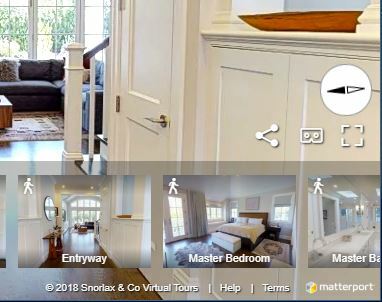 Matterport Spaces are 3D Tours that you can navigate in your web browser. 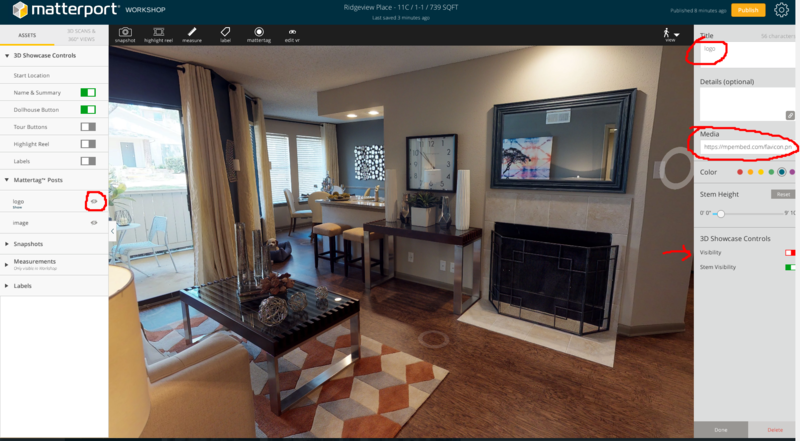 When you interact with a Matterport Space, you are using a web-based application called ‘Matterport Showcase’. 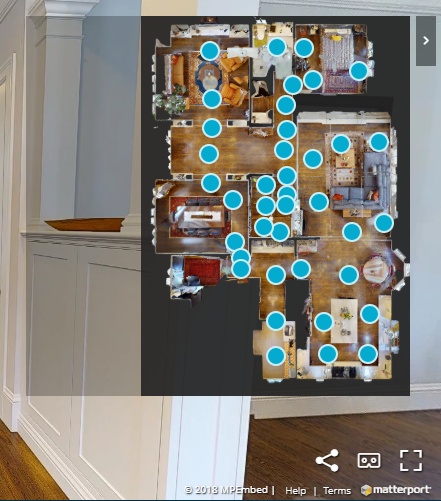 MPEmbed adds new features to Matterport Showcase. It does this by adding a layer where new features can be added including an enhanced About Box and a Minimap. It also has the ability to add photo filters to the embedded space to increase saturation, adjust brightness and even correct whitebalance. 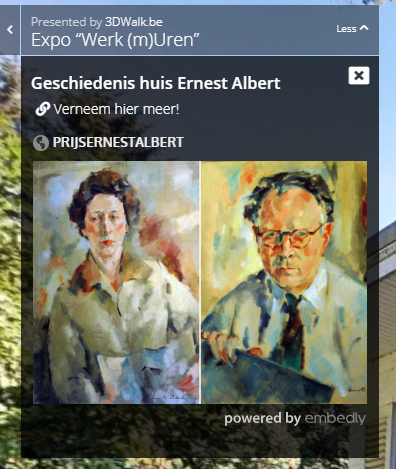 How do I Use MPEmbed (Free)? MPEmbed has a Premium Version. Visually configure options without needing to learn to use parameters. 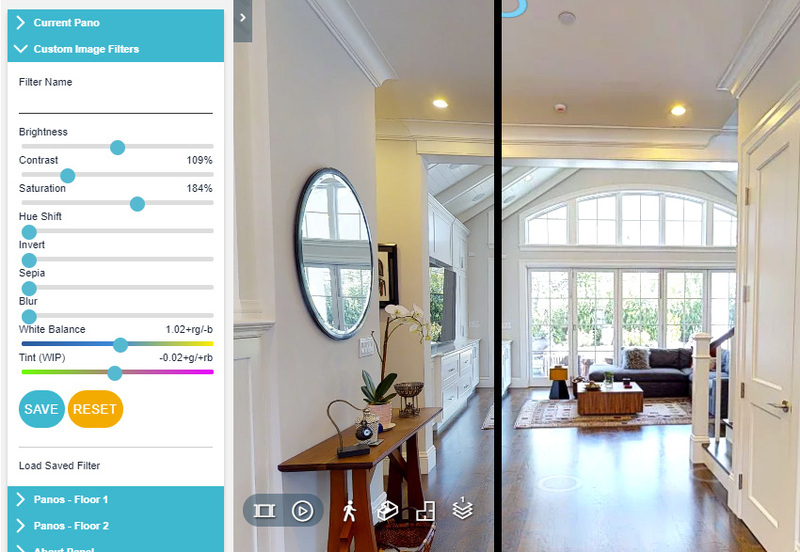 Set color filters on individual panoramas, customize which panoramas display on the mini map, sort Mattertags, provide horizontally flipped versions of your spaces — and of course, so much more. 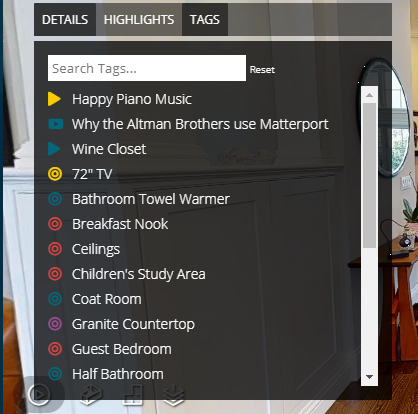 If you are familiar with Matterport Showcase, you may have already learned how to use Matterport’s URL Parameters. 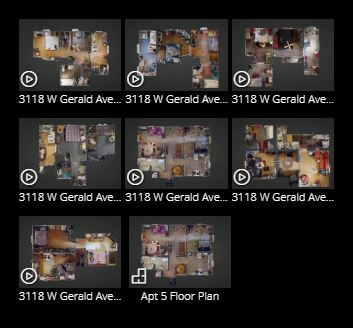 &mdir=1&mt=0 Hide Mattertags in your 3D Space and show the contents in the Mattertag Panel when clicked. &mdir=1&mt=1 Show Mattertags and their contents in both the 3D Space and the Mattertag Panel. Premium Feature Premium users can sort Mattertags and categorize them in lists. Display a logo on the left side of your Matterport Spaces’s title. Premium Feature MPEmbed Premium Professional and Unlimited users will be able to upload images directly in Q1 2019. 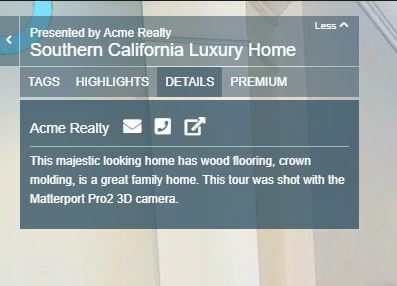 Display a larger image at the beginning of the details panel. Display an interactive minimap with labels, mattertags and current position. &minimap=1 Display mini map, start minimized. &minimap=2 Display mini map, start closed. Premium Feature Premium users can add tooltips to panoramas with custom text, rotate the minimap, add rotate buttons and set the visibility of hotspots individually. Custom minimap builder is coming Q1 2019. Adjust the colors on the entire tour and/or the minimap. Premium Feature Premium users can assign filters to panoramas individually and create their own filters using brightness, contrast, saturation, hue shift, invert, sepia, blur, whitebalance and tint sliders. Image shows color settings in MPEmbed Premium to boost saturation and adjust white balance and tint by a margin. This feature can come in handy to fix incorrectly darkened or brightened tours as well as to boost saturation as many come out a little bit dull. Premium does not have a divided 2/up display mode. Image is to show before/after only. 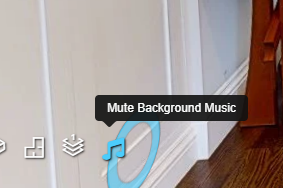 Plays background music or an audio welcome and adds a music on/off icon. This feature will not work as expected with &play=1 due to browser security that prevents auto play of content. If you do combine both, music will begin when any UI element is clicked — but not when the user begins navigating the space. In other words, don’t use &play=1. Premium Feature Premium users will be able to set music on a per-pano basis in soon, allowing music to change in each room, or use background sound for story telling. &nofade=1 User Interface will not fade during movement. Premium Feature Premium users can also add a compass and set north! If you would like to ‘bridge’ multiple tours together, MPEmbed’s highlight panel can do this for you. Simply list the space IDs with a | (pipe) separating them. If you would like to show all of the highlights from these tours as well, add &spacereels=1. 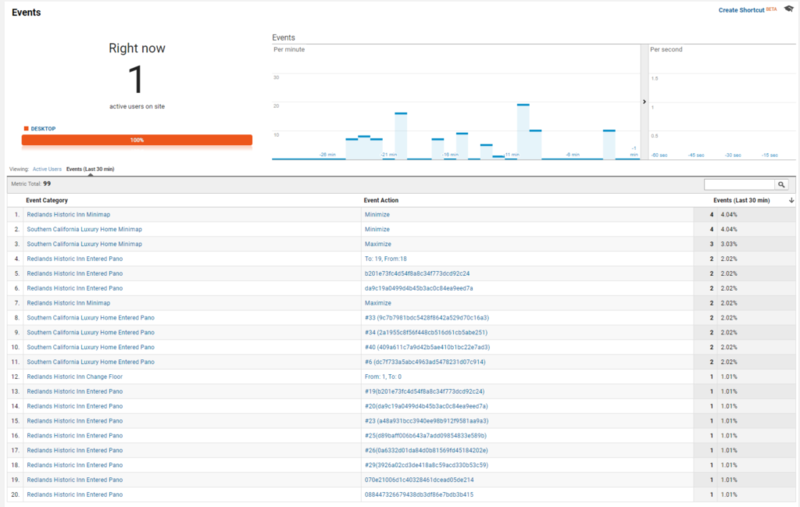 Track every move and interaction within your space with Google Analytics. Visit https://analytics.google.com and use https://mpembed.com as the website url that you wish to track data from. Custom brand your work with your photography copyright. Like Street View. Use %20 for a space (because spaces aren’t allowed in parameters). Optimized server speeds for users in China. If you would like to use MPEmbed without creating a CRAZY long link, you can use hidden Mattertags to configure your tour. One of the amazing advantages of using hidden Mattertags is that you can update a tour that is already embedded on your website or a client’s site. Simply create a Mattertag, type the parameter name as the title. (minimap), then use the details field to enter the desired value. If you’re configuring the image or logo parameters, use the ‘media’ field instead. Note – Premium users can configure tours via our member area, which is extremely fast and easy! Please view these tutorial videos to see how it works!